A comprehensive guide on how to lockpick, how to get lockpicks, and how to increase your lockpicking ability in Kingdom Come: Deliverance. One thing many new players of Kingdom Come: Deliverance have been struggling with is learning how to lockpick. The process of lockpicking is very different in Kingdom Come: Deliverance than other RPG titles. Because of this, can be extremely challenging in the beginning. 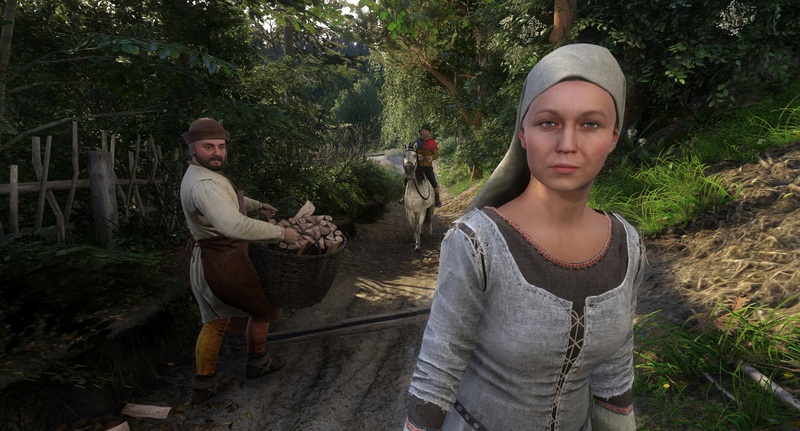 What’s more, you’re not able to freely save in Kingdom Come: Deliverance like you would a traditional RPG unless you have an ample supply of Saviour Schnapps. This can make saving prior to lockpicking nearly impossible. To help, we put together a comprehensive guide on how to effectively lockpick, how to get lockpicks, and how to increase your lockpicking ability in Kingdom Come: Deliverance. Below, we'll walk you through the process of getting locks, lockpicking, and increasing your lockpicking ability in Kingdom Come: Deliverance. Before you can attempt to lockpick in Kingdom Come: Deliverance, you’ll first need to know how to get your hands on some lockpicks. Lockpicks can be a bit harder to come by than other items in Kingdom Come: Deliverance, like food. As such, you’ll want to avoid wasting lockpicks whenever possible. In the beginning, you’ll get your first set of lockpicks from Heinrich’s friends in Skalitz (this happens prior to gathering the tools your father is owed). Additionally, lockpicks are offered as rewards for completing side quests. To manually replenish your lockpick supply, you’ll want to locate Traders in the various towns you visit. Lockpicks sold by Traders aren’t cheap, so be sure to have items on hand you’re alright with parting with in exchange for lockpicks. 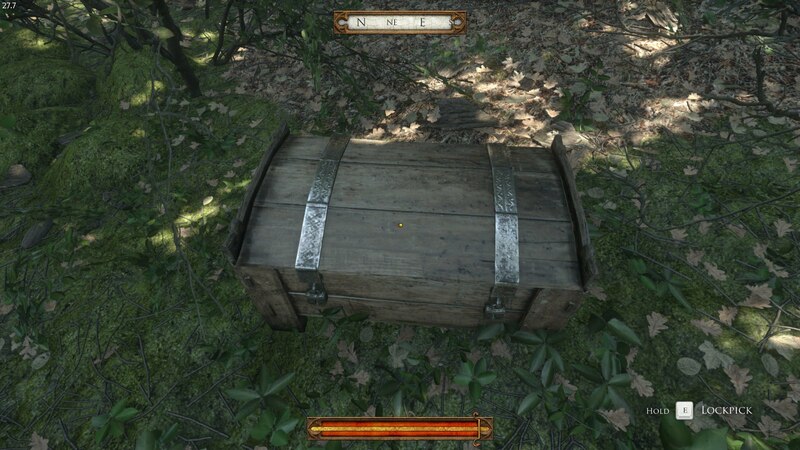 As your lockpicking ability increases, the amount of lockpicks you’ll run through will gradually decrease, making it easier to hold onto lockpicks in Kingdom Come: Deliverance. You can purchase lockpicks from Traders in Kingdom Come: Deliverance. To lockpick in Kingdom Come: Deliverance, you’ll need to carefully follow a series of steps. Personally, we’ve found it to be a little easier to lockpick using a controller than a mouse and keyboard when playing on PC as it’s easier to control the rotation of the locking mechanism. So, if you’re struggling to lockpick on PC versions of Kingdom Come: Deliverance, you may want to try out a USB controller. Aside from finding your ideal lockpicking preferences, here are the steps needed to lockpick in Kingdom Come: Deliverance. When no one is around to catch you, stand in front of the lock you want to pick and press the action key to begin lockpicking. When the locking mechanism appears you'll need to move the smaller circle before attempting to turn the lock itself. As you move the circle, it’ll get bigger the closer you are to the correct position. You’ll know it’s in the correct position when it turns golden. With your circle in the golden position, begin slowly turning the locking mechanism while keeping the circle in the golden position. Continue slowly turning the locking mechanism until the lock is successfully cracked. Lockpicking will progressively become easier the more you lockpick, as your lockpicking ability increases with each successful lock picked. There are other ways to increase your lockpicking ability, though. 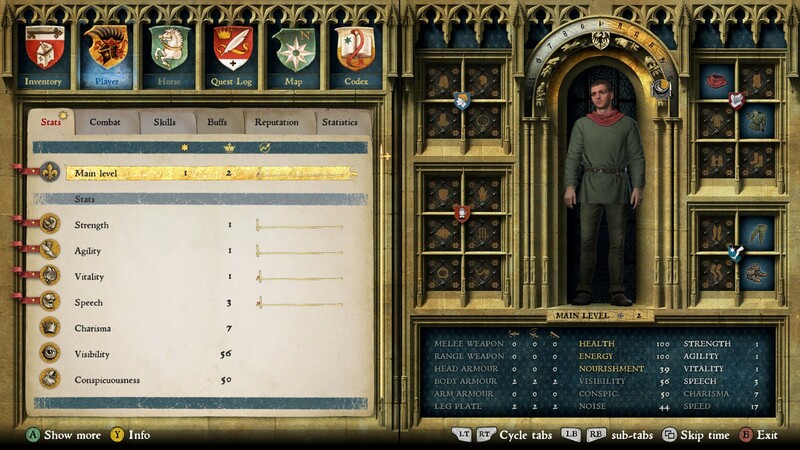 As you increase your lockpicking ability, you can select from a variety of lockpicking enhancements in Kingdom Come: Deliverance. In the beginning, you’ll want to limit yourself to the “Very Easy” lockpick challenges in order to begin increasing your lockpicking ability. Another way to increase your lockpicking ability is to accrue advice from experienced NPCs. These NPCs include Muller Peschek, who offers you the side quest “The Honorable Thief” before walking you through the basics of lockpicking. By lockpicking his training box, you’ll be able to increase your lockpicking ability by 1-2 points (which is extremely useful). As your lockpicking ability increases in Kingdom Come: Deliverance, you’ll also be able to pick ability enhancements to make lockpicking even easier. Stable Lockpicks (3): Your lockpicks are more stable and therefore last twice as long. Locksmith (3): After you’ve successfully picked a lock, there’s a 20% chance that broken pegs will end up in your inventory again. Clever Hand (6): When cracking locks, the starting point is closer to the end of the lock, making it easier to open. Luck of the Drunkard (6): You can crack locks 30% faster when drunk, but will cause 30% more noise. Sixth Sense (9): Your sixth sense sounds the alarm when someone is on the verge of catching you at the lock, giving you more time to flee. Silent Locksmith (9): You can use a lockpick almost silently, even if the lock causes you problems. The noise caused by a breaking lockpick is 90% quieter. Thief in Luck (12): If you break a lockpick, there’s a 10% chance that the lock will open. Master of Castles (12): You crack simple locks automatically. By gradually increasing your lockpicking ability, and by selecting a variety of lockpicking enhancements, you’ll have an easier time picking locks in Kingdom Come: Deliverance. And there you have it, our comprehensive guide to lockpicking in Kingdom Come: Deliverance. What do you think of the lockpicking mechanic in Kingdom Come: Deliverance? Let us know your thoughts in the comments below! By reading through this guide, you should now know how to lockpick, how to get lockpicks, and how to increase your lockpicking ability in Kingdom Come: Deliverance.